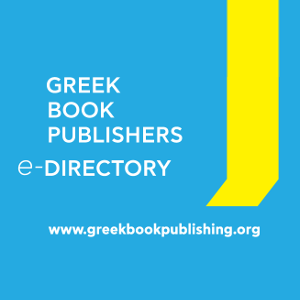 The journey of Greek books at international book fairs continues, after Beijing (24-28 August) and Moscow (7-11 September), where Greece was the Guest of Honour, to the Frankfurt Book Fair that will take place between 19 and 23 of October 2016 with Flanders and the Netherlands as the Guest of Honour. 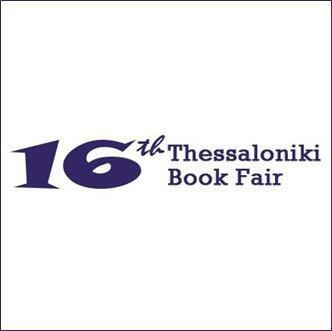 At least 500 Greek books from the recent production of 150 publishing houses will be displayed at the Greek Stand, organized by the Hellenic Foundation for Culture, with the support and under the aegis of the Ministry of Culture and Sports, in collaboration with the Greek publishers, the Consulate General of Greece in Frankfurt, and the Greek National Tourism Organization office in Frankfurt. This year the number of publishers participating with their own stand has increased, reaching 20, in place of 14 in 2015 and 11 in 2014. The participating publishers: Agra, Aiora, Angelakis, Cube Art, Diaplasi, Enalios-Oceanos, Hestia, Ikaros, Kastaniotis, Kazantzakis, Kedros, Mamaya, Melissa, Metaichmio, Nefeli, Ocelotos, Opera, Papadopoulos, Patakis, Romiosini, as well as the literary agencies Ersilia and Iris all contribute to the new dynamic presence of Greek books outside the borders of Greece. This dynamic presence is also reflected in the Greek Books in Translation Catalogue that includes, for 2016, 33 titles that will be published by 64 foreign publishing houses, an impressive number, especially taking into account that there are no funding programmes to support translations. The respective numbers for translated Greek books were: 8 in 2011, 31 in 2014 and 22 in 2015. 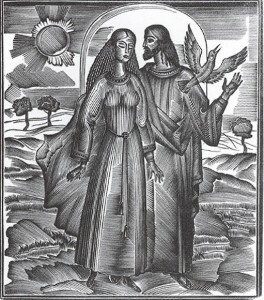 The presence of Editions Romiosini of the Centre for Modern Greece (CeMoG) which is based in Berlin, with 14 new editions and reprints of modern “classic” literature in German, is also important. 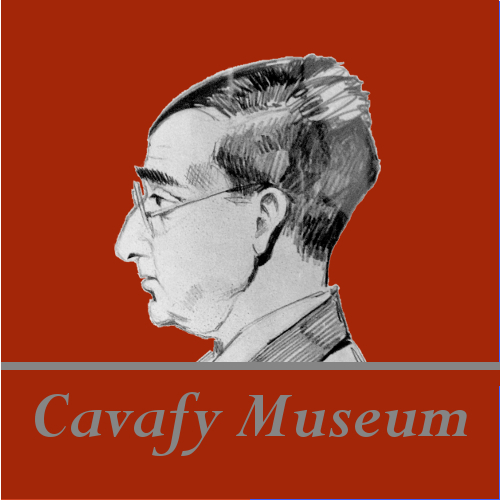 CeMoG will present the creation of a digital library of modern Greek literature and Modern Greek Studies in German, which includes translations of modern Greek literature and of books concerning Greek culture, all available for free to the public (http://www.cemog.fu-berlin.de/el/edition-romiosini/index.html). Mrs. Maria Zissi, the Consul General of Greece in Frankfurt, will head the opening of the Greek Stand on Thursday October 20, at 5pm, while a drinks reception, sponsored by the Greek National Tourism Organization office in Frankfurt, will follow. 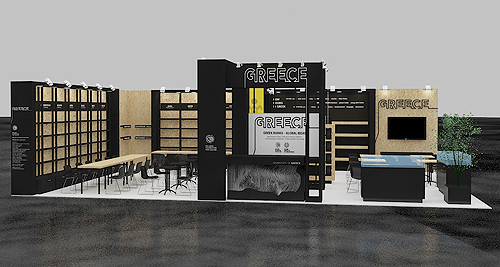 The Greek Stand at the 68th Frankfurt Book Fair [19-23 October 2016]. Many events, actions, exhibitions and screenings will take place at the Greek Stand during the five days of the Fair, presenting to the thousands of professionals from around the world and the Fair’s visitors versions of Modern Greek Culture focusing always on books as the main vehicle of culture and extroversion. Giorgos Veltsos will present his latest play “Magda Goebbels” (Agra, 2015) through an interesting discussion – comment on the chronicle of the rise and fall of the Hitler worldview through a cruel personal retrospection. Spiros Moskovou, Head of the Greek Department of Deutsche Welle, will converse with the writer. Discussion – presentation for professionals of the rise of translations of Greek books and their circulation outside of Greece with the title “30+3 translated Greek books: extroversion as an antidote to the crisis”. With the participation of: Evangelia Avloniti, literary agent at Ersilia Literary Agency and poets Eleni Galani and Efterpi Kostareli who both live in Germany. “The Greek book market at the time of the financial crisis: Flexibility, Innovation & Change”: presentation of the new publishing landscape as it has been formed in the recent difficult years, by Sokratis Kampouropoulos, advisor on book matters and member of the book policy working group of the Ministry of Culture and Sports. 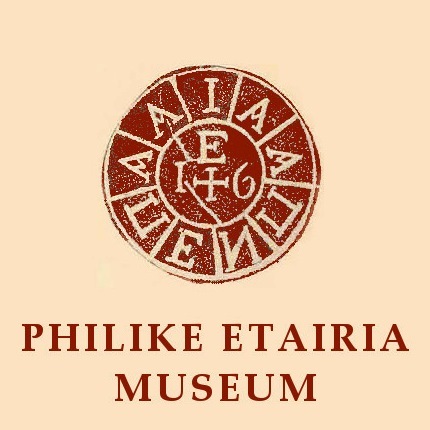 Following last year’s successful collaboration with two European schools of the wider area of Frankfurt, the Hellenic Foundation for Culture has planned events for three groups of students that will visit the Greek stand on Friday, Saturday and Sunday. The programme includes skype meetings with the writer Angeliki Darlasi and the screening of a video by illustrator Myrto Delivoria which presents her work in an imaginative way. These two meetings between students and the writer and illustrator were organised after the suggestion of the Circle of the Greek Children’s Book, as both the writer and the illustrator were included on IBBY’s honorary list this year. 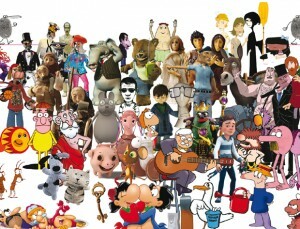 In addition, children will have the opportunity to get acquainted with the work of 16 Greek illustrators, with the Greek Illustrators’ Exhibition, and take part in the activity “Playing with colours and images” as well as in other art activities. 16 Greek illustrators that participated in the action “The Illustrator’s Wall” are presented through samples of their work: Agnantopoulos Vangelis, Aspromourgos Antonis, Despoina Karapanou, Dimitriou Giorgos, Galatis Antonis, Giareni Vaso, Kamperi Ifigeneia, Labretsa Demetra, Mexi Marilena, Parissi Diatsenta, Psaraki Vaso, Stamatiades Daniela, Vakali-Sirogianopoulou Filomila, Vavouri Elisa, Veroutsou Katerina and Xigkas Konstantinos. Eight rare collectors’ editions of traditional typography and engraving will be displayed in special cases at the Greek Stand. Editions with original engravings, typeset by hand, and printed on a flat press at the printing facilities of the last Greek “Gutenberg”, as Nikos Vozikis, who founded Diatton Publishing in 1984, has been described. Editions on display: 1) Giorgos Veltsos, Dreams *etchings by Chronis Botsoglou, 2) Dionysis Kapsalis, The crack of time, *engravings Michalis Arfaras 3) Longus, Daphnis and Chloe, *block prints – lithographs Giorgis Varlamos 4) Haris Vlavianos, The surface of things, *screen-prints Yiannis Psichopaidis 5) Homer, The Odyssey, translated by D.N. Maronitis, * watercolours Costas Tsoclis 6) Solomon, The Song of Songs, *block prints Yiannis Kiriakidis 7) Alexandros Papadiamantis, The Rosy Shores, *etchings Christos Santamouris 8) Yiannis Ritsos, Moonlight Sonata, *block prints Yiannis Stefanakis. The exhibition Documenta 14, which for 2017 will work around the guiding principle “Learning from Athens” and which will be hosted on equal terms both by the Greek capital and Kassel, will be presented, in collaboration with its organisers, at the Greek Stand. The participating artists have been invited to think of and create art driven by the relation that will emerge between the two cities, presenting one work in each location. In addition, during the Frankfurt Book Fair an open call concerning the work The Parthenon of Books by Marta Minujín will be announced: it is an invitation for the public, publishers and authors to donate books for the construction of a replica of the temple on the Acropolis in Athens, on Friedrichsplatz in Kassel, where in 1933 countless books were burned by the Nazis. The material for this construction will be banned books from all over the world. This work is a symbol of resistance to censorship, to the banning of writings and to the persecution of their authors. During the announcement of the action Greek publishers will be invited to donate banned books. The international distinction of Athens that was chosen by UNESCO to be the “World Book Capital 2018” will be promoted at the Greek Stand with posters and informational material in collaboration with the working group of the City of Athens. “UNESCO’s decision is an honour, it reflects the international appeal of Athens and strengthens our strategic aim to make our city a modern culture destination.” Giorgos Kaminis, the Mayor of Athens, commented at a press conference with UNESCO on the subject of Athens being the World Book Capital 2018.